Last week I talked about the similarities between a company and an author. The slogan I quoted, as you recall, said the company would never release their product before its time. Well, that goes for writers--perhaps even moreso than with companies selling wine. I can still recall the exhilaration I felt when I finally typed in # # # at the end of the manuscript of my first novel. (By the way, I was taught to use that symbol, rather than "the end.") I was ready to send it off to my agent for submission to a publisher. I simply knew this was the first of many novels that would bring me fame and riches. After all, I'd put everything I had into it. But my agent, God bless her, calmly convinced me to keep working on the material--editing, rewriting, polishing. So I did, and finally she submitted it to several publishers--who rejected it. Obviously, they hadn't gotten the memo. My agent persisted, and eventually I got my first fiction contract. Now, assuming things go as planned, my eighth novel will release on May 19, followed by my ninth and tenth (which are already written and edited). But for each of these I've written a first draft, revised, rewritten, revised, submitted to my editor, then responded to those editorial comments, following which I made changes after line editing, and finally made tiny revisions in the galley proofs. There was no "rush" to publish...and that's as it should be. I still recall what my agent told me: You only have one chance to make a good first impression. At the time I thought it was hokey. Now I think it's great advice. I'm glad she kept reinforcing that concept with me. I'm trying to feature stories and information about self-publishing (i.e., "going indie") on this blog, including my own foray into that activity. Matter of fact, I'll have a progress report on that soon. Meanwhile, I'd like to emphasize a point. I hope that writers won't take advantage of this new technology to rush their work into print, without laboring over it enough to make it really good. You really do only have one chance to make a first impression on those who read your work. Do you have experiences (either as a writer or reader) in the area of "rushing to publish" you'd be willing to share? I'd love to hear them in the comments section. Tweet with a single click: "When you type 'the end,' is your novel ready to submit?" Click here to tweet. I was looking at the author's copies of books on my shelf, and discovered that I have a spare copy of my fourth novel of medical suspense, Lethal Remedy. You folks have been steadfast followers of this blog, encouraging me when I was ready to quit, so I decided to reward one of you. I'll send a signed copy of Lethal Remedy to the first person who emails me (see below) with the correct answer to this question: What is the name of the pharmaceutical company in this book, and what is the name of the man who heads it? If you ask a question about the writing life that I use as a subject for one of my Friday posts, I'll throw in a signed copy of another novel of mine--your choice. (Sorry, I don't have copies yet of my next book, Fatal Trauma, but you have seven others from which to choose). Already have a copy? How about one to give away--to a friend, to a church library, or to your public library? Use the subject line Lethal Remedy (to avoid the sp*m filter). I'm afraid that, due to postage cost and shipping regulations, I have to limit this to readers in the US. I'll announce the winner in a comment to this blog post as soon as I get a correct answer. Hint: One of the online booksellers has a "look inside" feature for books. Check Lethal Remedy, and about halfway down the preview you'll find the answer. Now a question for you to answer in the comments section--Do you think giveaways help? And if so, what kind? I'd like to know. 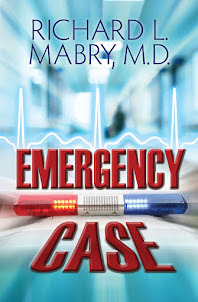 Tweet with a single click: "Chance to win a signed copy of Lethal Remedy by @RichardMabry." Click here to tweet. 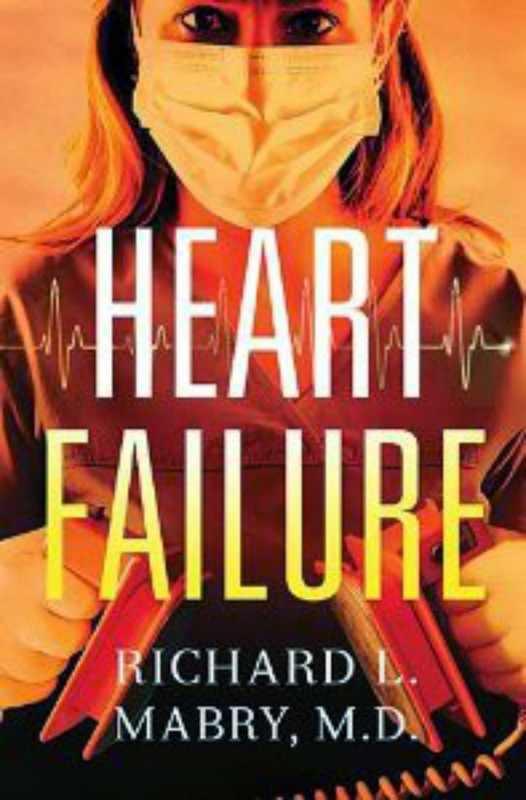 I hope everyone who reads this blog has already bought, read, and enjoyed this novel, but just in case you haven't (or if you have friends and family who might like it), Heart Failure is on sale for e-books and for Kindle today only, at $2.99. It's one of my favorites among the novels I've written, and I wanted you all to know about this and spread the word. See you next week. Have a great weekend. 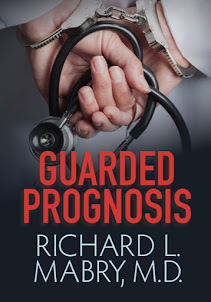 Help spread the word--Tweet with a single click: "Medical suspense novel Heart Failure only $2.99 as e-book today only." Click here to tweet. 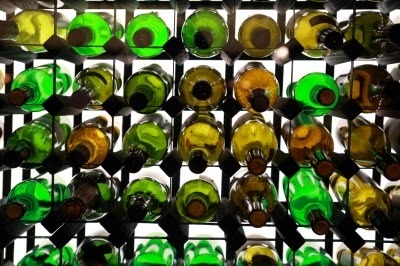 Before you read this, please know that I'm not a drinker, and certainly no expert on wines. Matter of fact, I had to look up some of the material here. But the analogy works. The phrase sticks in my mind: "We will sell no wine before its time." The man making this pronouncement was a very sedate and dignified Orson Wells, assuring the viewing public that Ernest and Julio Gallo would be gatekeepers of a sort, only allowing the best of their product to be sold. That was in the mid-70's. However, twenty years earlier, the Gallo brothers were making no such claim. They were marketing a different product--Thunderbird--a fortified wine whose clientele didn't particularly care whether the contents of the bottle had been aged long enough...or at all. What happened in the time that intervened? There was improvement as the brothers accumulated experience. If they'd just kept marketing Thunderbird (or Boone's Farm, which came a bit later), people would have bought the products, but there wouldn't have been expansion into improved ones. Their audience wouldn't have enlarged. And, presumably, what they turned out later would be no better than it had been. What does this have to do with writing? As many of you know, I'm a fan of the late Robert B. Parker. I just reread (for probably the sixth time) Parker's novel, The Godwulf Manuscript. This book, probably the earliest of Parker's, introduced a private detective, Spenser. In this book, compared with later ones, the writing was rougher. It still conveyed a message, but the characters weren't so well-drawn. The plot didn't flow quite as well. I found a few inconsistencies in the book, things an author and editor should have spotted and corrected. It was the Boone's Farm of writing--accepted by a limited audience, but by no means polished and smooth. But Parker matured as a writer. Despite the fact that he had a PhD in English, he recognized there was more to learn about the craft of writing. As he learned, his writing improved. In addition,he discovered what people liked about his books, and he incorporated that into subsequent writing. Every novel he turned out was an improvement on the last. That's the way a writer grows. Writers, no matter how much you think you know, there's always room for improvement. That's why we continue to study the craft. People depend on us to turn out the best books possible. If we don't, our books will be like Thunderbird or Boone's Farm wine--they may sell, but they're not anything worth telling others about. What do you think? Click with a single tweet: "Writers, is it important to improve with each book?" Click here to tweet. There's an announcement about a "special" price on one of my books, but I can't reveal it until tomorrow. I'll tweet about it after 8 AM Central tomorrow, right here. The following is quoted from History.com: "Presidents’ Day is an American holiday celebrated on the third Monday in February. 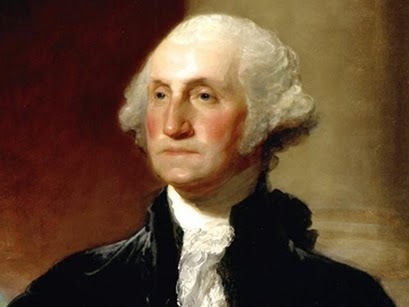 Originally established in 1885 in recognition of President George Washington, it is still officially called 'Washington’s Birthday' by the federal government. Traditionally celebrated on February 22—Washington’s actual day of birth—the holiday became popularly known as Presidents’ Day after it was moved as part of 1971’s Uniform Monday Holiday Act, an attempt to create more three-day weekends for the nation’s workers." Our flag, which had been in the closet since bad weather and the Christmas holidays dictated the move, once more flies from our front porch. As retirees, not much was different for us yesterday, except that the banks and Post Office were closed. What about you? Were you off? Did you go to your regular job? What do you think about the way the Federal Government has made this another three-day weekend? Please chime in. And come back on Friday, when I'll post about writing and "We will sell no wine before its time." (And, yes, there is a connection). Writing: Daily Grind or Enjoyable Pastime? Why do you write? Do you feel it is a calling? Do you have a story you want to share with others? Do you just enjoy the sheer thrill of sitting at the computer and creating something? Would you like to be paid for your writing? 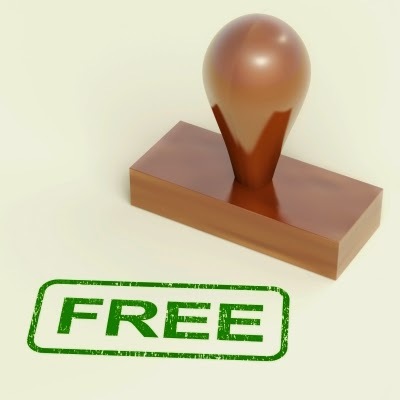 Are you dependent on your writing for income? These and many others are reasons writers give for why they engage in this activity. Lawrence Block, whose novels about alcoholic ex-cop Matt Scudder I particularly enjoy, used to write a recurring column for Writer's Digest. These columns have been cobbled together into a number of books, one of which I especially like: Telling Lies For Fun & Profit. 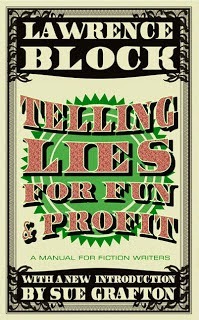 And in one chapter, Block addresses why people write. Some people do it for fun, never hoping to be published. Block calls these people "Sunday writers." They enjoy the mental exercise writing offers, but have no realistic hope of their work getting published. They haven't quit their day job, nor do they have any such intention. Contrast this group with the serious writers, the ones for whom publication of their work is the ultimate goal. James Scott Bell has repeatedly said to this latter group, people who hope to produce publishable work and even--gasp--make some money out of it, that they need to write a certain amount on a regular basis. He encourages them to set a word count for the day or week and keep their rear ends in the chair and their fingers on the keyboard until they reach it. This, he implies, marks the serious writer. I'm not sure where I fit into this spectrum. I don't write every day (sorry, Jim Bell), but I do want my writing to be shared with others through publication (sorry, Larry Block). I've worked out my own schedule, although from time to time I have to rethink it (and justify it to myself). The lesson here seems pretty clear--what works for one writer doesn't work for all of us. So maybe we should figure out what works and concentrate on that. Do you fall into one of these categories? Or do you have your own reason for writing and your own lifestyle to go with it? I'd like to hear. Tweet with a single click: "Writers, are you a 'Sunday writer?'" Click here to tweet. I'm not sure what the latest scandal will be by the time this is posted, but right now Dallas is dealing with a Cowboys player who has already this season been arrested for stealing a pack of underwear from a mall in my home town, and more recently was involved in a "domestic dispute" with the woman who bore his child. Ordinarily, this might not make the newspaper, except that the person in question is a Dallas Cowboys player. And he's not acting like someone I'd want my children to emulate. I suppose things are different now, or perhaps I'm just becoming a curmudgeon in my older years, but I can recall a time when sports figures recognized that they were looked up to by those of us who wish we could perform as well as they on the diamond or gridiron or track or links or... You get the picture. And unless my memory is failing, these people acted, at least when they were in public, with the knowledge they were role models. But that was then and this is now. I was fortunate enough to be in a baseball camp once with Mickey Mantle, Whitey Ford, and other great players. I recall talking with Moose Skowron, a Yankee star at one time, discussing modern teams. Moose pretty much hit the nail on the head when he said, "Yeah, back then we were a team. We knew about our responsibilities to the public and to each other. Now you've got 25 guys with brief cases, each one with their own agenda." So what do you think? Are athletes nothing but overpaid performers? Or are there still some of them who can be pointed to as role models? I invite you to sound off (but nicely, of course). Tweet with a single click: "Are athletes heroes or overpaid performers?" Click here to tweet. I first met Dan Walsh at a meeting of the American Christian Fiction Writers. He's a former pastor, now writing full-time. He's had a great deal of success as a writer over the past decade, and recently made the jump from publication by a "traditional" publisher to independent ("indie") publishing. I've asked Dan to tell us a bit about the experience. 1) Why did you make the decision to switch from traditional publishing to being an indie? Since 2009, I've published a dozen novels under contracts mostly with Revell (Baker Books) and 1 book with Guideposts. Over the last year or two, I could see a massive change coming to the publishing world as readers, by the millions, began to buy more and more of their books online (rather than at brick-and-mortar bookstores). Not just e-books, but print books as well. I observed numerous Christian publishers going out of business, merging with other publishing houses, and/or dramatically downsizing their staff. The writing was on the wall. So, I began preparing for the eventuality that my publisher would not be able to re-sign me to the kind of contracts I'd been receiving for the past 5 years. This was confirmed last August. Thankfully, by that time I had just finished my first indie book, When Night Comes. I had already studied what was necessary to publish the book on my own, so I jumped into this role through September and October, and was able to launch my new book on Nov 1st. It's done very well. Enough to give me the confidence to stay the course and continue writing fulltime, now as an indie, at least for the rest of 2015. My final 2 books with Revell will come out this year (April and Sept). I also plan to release a sequel to When Night Comes by the end of the year. In between, I hope to release the first 2 books of a new trilogy that will feature dogs as main characters (and people, too, of course). Book 1 is called Rescuing Finley. I also hope to release my first non-fiction book. I'm finishing up a 31-Day devotional called, Perfect Peace. 2) What are some of the pitfalls you didn't see coming? There weren't that many. Mainly because, I looked into this in some depth, so I was pretty prepared as to what I could expect. Maybe the only real setback for me was how much time it actually takes to accomplish all of the non-writing tasks involved in self-publishing. My life has gotten a lot busier than back in the days when my publisher's staff did all these things on my behalf. I don't mind the work, but I do have to allow more time for it. 3) Would you do it again? Guess I already answered this in Question 1, since I said I plan to release 3 or possibly even 4 new indie books this year. Having worked out most of the kinks and bugs with first project, it's given me the confidence to move forward on the others. I love all the creative control (covers, titles, content, etc.) Financially, while I'm not selling as many books as I did with my publisher (since indie books aren't being accepted into regular bookstores yet), I'm making over 3 times the amount per book sold. Based on the sales so far, I could be back up to where I was last year by the end of this year, or early in 2016 (God willing). Thanks, Dan. With the increased popularity of independent publishing, I'm sure my readers will want to ask you some questions. 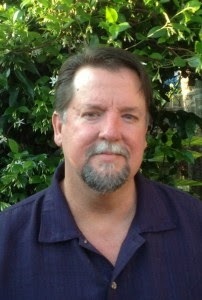 Tweet with a single click: Author Dan Walsh tells why he has decided to "go indie." (To tweet, click here). On my daily walks, I pass by one of the greens of our neighborhood golf course. 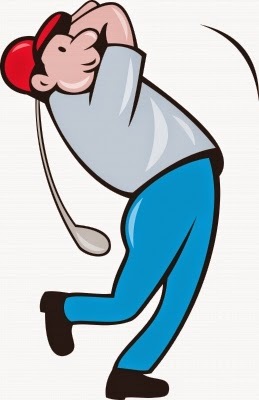 I often pause to watch golfers hit their approach shots, and the other day I saw a man with the fastest swing I believe I've ever seen. Then, as soon as he hit the shot, he slammed his club back into the bag and hustled off to hit the next one...about thirty yards further on. He was in a hurry, and it showed both in the manner he went about the game and the results. My mother would say he was getting ahead of himself. Not only is that bad golf, it's bad in any endeavor. How many times have you said something, then regretted not thinking about how it was going to sound? I have...on many occasions. I'd have done better to take the extra few seconds to consider my words and reformulate them if needed. Sure, there are some activities in which we need to be fast. But in most cases, taking a moment to plan our actions pays significant dividends. If I don't, I have to ask myself this question: Am I getting ahead of myself? What about you? 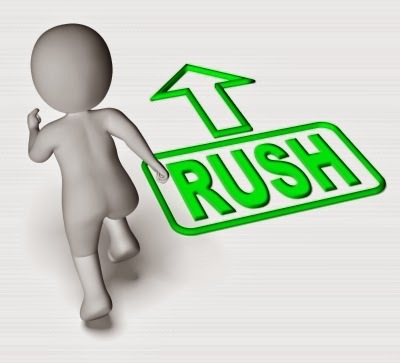 Ever regretted words or actions that could have been avoided if you hadn't rushed into them? Any advice on how you keep from doing that? I'd like to hear. Tweet with a single click: "Pause before you speak or act--don't get ahead of yourself." Click here to tweet. 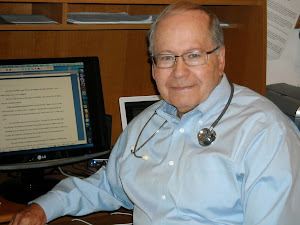 Note: I have the privilege of posting today on the blog of medical writing colleague, Jordan Redwood. Drop by today and learn about damage to the ears from noise. PS: If you've been in a cave in Kentucky or something and haven't read the story of how I got started writing, you may wish to check out this brief post.